To celebrate the release of A Month of Sundays, author Liz Byrski’s tenth novel published by Pan Macmillan, I have a Q & A with Liz I would love to share with you all. It is true pleasure to welcome Liz to Mrs B’s Book Reviews for a Q & A session. This Q & A will follow my review of A Month of Sundays. Liz Byrski is a novelist, non-fiction writer, former journalist and ABC broadcaster, with more that fifty years experience in the British and Australian media. She is the author of eight bestselling novels, including Gang of Four, In the Company of Strangers and Family Secrets, and a dozen non-fiction books including the popular memoir, Remember Me; Getting On: Some Thoughts on Women and Ageing and In Love and War: Nursing Heroes. Liz’s books have been published in the UK, France and Germany and her articles and essays have appeared in national and international publications. She has won several awards for her work as a print and radio journalist, and has worked as an advisor to a minister in the West Australian Government, and is a former President of the West Australian Women’s Advisory Council to the Premier. 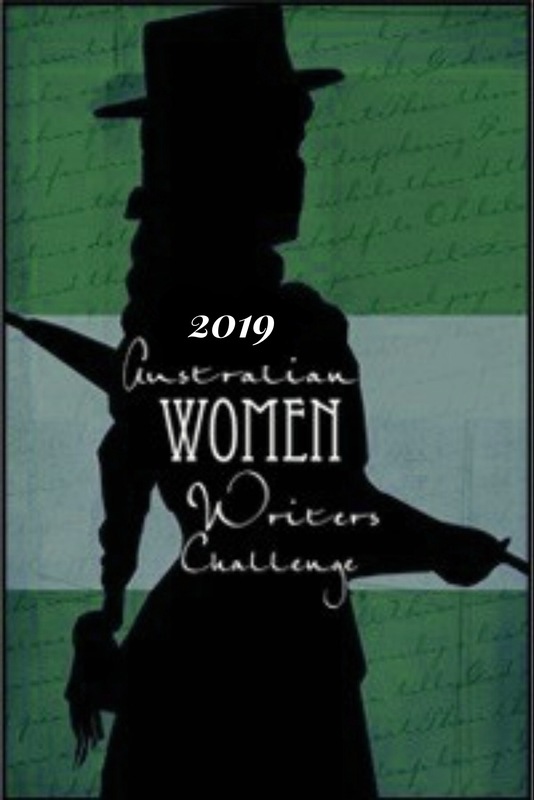 Liz completed her PhD in women’s fiction at Curtin University where she lectures in Professional and Creative Writing. Liz was born in London in 1944 and lived in England until 1981, when she moved to Western Australia with her family. She now lives close to Fremantle and enjoys spending time with family and friends, reading, writing, movies, walking and swimming. Hello Liz. It is my pleasure to welcome you to my blog, Mrs B’s Book Reviews. I greatly appreciate the time you have provided to answer a few questions. Hello Mrs B. Thank you for your interest in A Month of Sundays. Q. What came first in the creation of this novel – the title, the plot, the characters or the setting when you first set out to write A Month of Sundays? A. The first thing was the idea of writing about women reading novels together, talking about them and how this so often leads to them learning more about themselves and each other. The characters were next, I needed to work out who they were, where they were in their lives, and what might help them change something significant. This was a challenge, as in the past I have always begun with the characters and the point at which they had arrived in their lives, and then worked out a rough sense of the narrative, but inevitably that shifted around once I’d started writing. I never really know what’s going to happen or how it’s going to end. Q. Did you need to undertake any research to bring A Month of Sundays to life? A. Most of the research was in reading or re-reading a lot of books to find ones that would work for the characters. So they needed to be comforting but also a challenging books that would help the characters move forward. That was pretty time consuming and I changed my mind several times and had to find other books that would match the characters better than my original choices. Apart from that the other research was on the Blue Mountains, as I’ve never been there. Q. Let’s talk setting. What made you decide to base your new novel in the Blue Mountains? A. Everything I’d heard about the Blue Mountains made me feel that it would be an attractive location for four women to go to read books. I wanted to create the feeling of a cosy house in a beautiful location so that it would feel like a winter holiday. I wanted the women to sit and read and talk around a big wood-burning stove. But I didn’t want it in a town, just close to several small towns where there would be nice cafes, bookshops, and galleries. Online I found a couple of short documentaries about the Blue Mountains, as well as lots of websites. It looks glorious and now I really want to go there. Q. What character did you most identify with in A Month of Sundays? A. I always think there is something of me in all the characters in my books and this is certainly true with this book. But it is Ros with whom I most identify. That may be because she is closest in age to me, and not as tough as she likes to pretend. Or it could be that she can be quite awkward! Q. Is there a particular scene in A Month of Sundays that you are proud of? A. I have two special scenes; one is when Ros’s dog, Clooney, goes walkabout, and the second is the ending, which I am really proud of. Q. A Month of Sundays is based on the story of an online book club who have never met in person, but after ten years finally make plans to meet. Are you personally a member of a book club? A. No, I am not in a book club and never have been. I am not good at joining things, and I’m hopeless at sticking with books I am not enjoying, so I know I would often end up not reading through to the end. The other thing is that whatever I am reading at any time has to be what I really want at that time. It has to suit my state of mind. I guess I am always looking for the answer to something when I’m reading so I get very focussed on reading what I hope will get me there at that time. I’d be a hopeless reviewer as I feel resentful if there is something I’m supposed to read by a certain time. But I love talking about books with friends in a one to one setting. It’s one of my favourite things to do. Q. You have published a number of contemporary fiction novels. What attracts you to this genre? A. I always wanted to write fiction but for almost forty years I wrote non-fiction books and was a journalist. I wanted to write stories about older women’s lives, largely because I loved reading them and had done so even when much younger. I felt I learned about growing up as a woman from fiction. When I was in my late fifties I couldn’t find novels about women my age and older, so I thought I would try my hand at writing them. I love writing about older women now because there is such a wealth of stories to tell, and issues and ideas to explore, particularly about ageing. When I read a book I love I feel I am among friends and that the writer knows me. I enjoy reading social realism and that’s what I also want to write. Q. How has your writing evolved since your first published novel? A. I find that difficult to answer. I hope I’ve got better at it, and I know my characters have aged with me. But I haven’t found that it gets any easier and I struggled more with A Month of Sundays than I have with most of the previous novels. I actually think that it would be easier for someone else to determine how my writing has evolved, than it is for me. Q. Can you tell us about your creative working space, where do you write and is there anything vital you need to get started? A. I live alone and work in a central room, which is a dining room at one end and my work area at the other. If I have several things on the go at the same time, I also work at the dining table. My computer is by the big window that looks out over some beautiful purple bougainvillea in the garden. I have one large wall that has bookshelves from floor to ceiling, and a small set of library steps that were made by my elder son, so that I can reach the books on the top shelves. Alongside my desk there is a big comfy leather armchair, which is my reading chair. I need a good strong coffee to get me going. Q. How do you balance life with writing? A. With difficulty! I also work in a university, so I have a lot of other things going on as well. I am finding this juggling increasingly difficult the older I get and at the moment I am trying to wind things down a bit. I have also started to be more serious about walking or swimming every day. I am an introvert so I’m happy to spend a lot of time alone, and meet friends one or two at a time, for coffee of breakfast, go to the movies, and so on. I generally live a very quiet life. Q. What is next on the horizon for Liz Byrski? Do you have any writing projects you would like to share with us? A. I never talk about the novel I’m working on, simply because if I do I can actually talk myself out of it, so I can’t tell you about that. But I can tell you that for the last 2-3 years I’ve been trying to write a non-fiction book about women and reading, which I have to keep putting on hold, but I’ll get there in the end. Q. Finally, what 2018 book releases are you most excited to read? A. The book I most wanted to read this year is, or rather was, The Only Story by Julian Barnes. I bought it as soon as it was released, and read it in two days. I absolutely loved it. The next one I’m excited about starting this weekend is The Librarian by Salley Vickers. Thank you for taking the time to visit Mrs B’s Book Reviews Liz and congratulations on the publication of A Month of Sundays. A Month of Sundays reminds us of the joy, the comfort and the occasional challenge we can find in the pages of a book. A Month of Sundays by Liz Byrski was published on 26th June 2018 by Pan Macmillan. Details on how to purchase the book can be found here. Always interesting to read about the inspiration and writing methods of a writer. All so different. Liz’s book sounds interesting. Thanks for the review and Q&A. Thanks for stopping by Carol. Like you I always find it fascinating to discover how different writers operate and yes they all have such varying approaches.